Registration with either the NICEIC Domestic Installer Scheme or ELECSA Part P Scheme allows assessed businesses to self- certify their own domestic electrical installation work and ensure it is compliant with the requirements of Part P of the Building Regulations. The schemes cover the design, installation, inspection & testing and certi cation of electrical work associated with dwellings, intended to operate at low or extra low voltage in accordance with BS7671 and the Building Regulations. 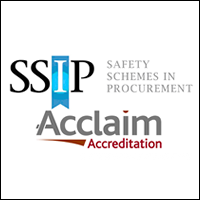 Acclaim Accreditation is a member of ‘Safety Schemes In Procurement’ (SSIP), which is an umbrella organisation for stage 1 health and safety assessment schemes. SSIP is recognised by a large and growing number of buyers within the construction industry. 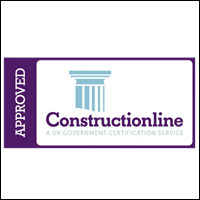 Constructionline is the Governments national register for suppliers and provides the UK’s largest register of pre-qualified contractors. It confirms the financial standing and technical references of the companies. Constructionline is recommended by the Office of Government Commerce (OGC ) Common Minimum Standards and The Local Government Task Force.